Tony is the “great-great-grandson” of Edmund Mcllhenny, creator of the original Tabasco pepper sauce. 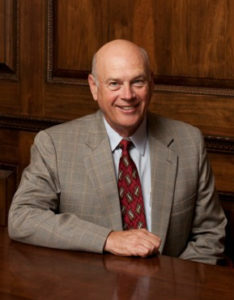 McIlhenny Company has been family owned and operated since its inception, and Mr. Simmons is the seventh member of the McIlhenny family to lead the company. Tony joined McIlhenny Company as Executive Vice President in January of 2000. In 2012, he was promoted to President, and in 2013 he became Chief Executive Officer. Previously, he was elected to membership on the McIlhenny Company Board of Directors in 1998. TABASCO® products are sold in more than 165 countries and territories around the world and labeled in 22 languages and dialects.